Ever since social media platforms became ultra-popular, the world of digital marketing has never been the same. Not so long ago, the main principle behind paid ads was repetition, as promoters believed that if they repeated an advertisement a sufficient number of times, customers would be convinced to buy their product. 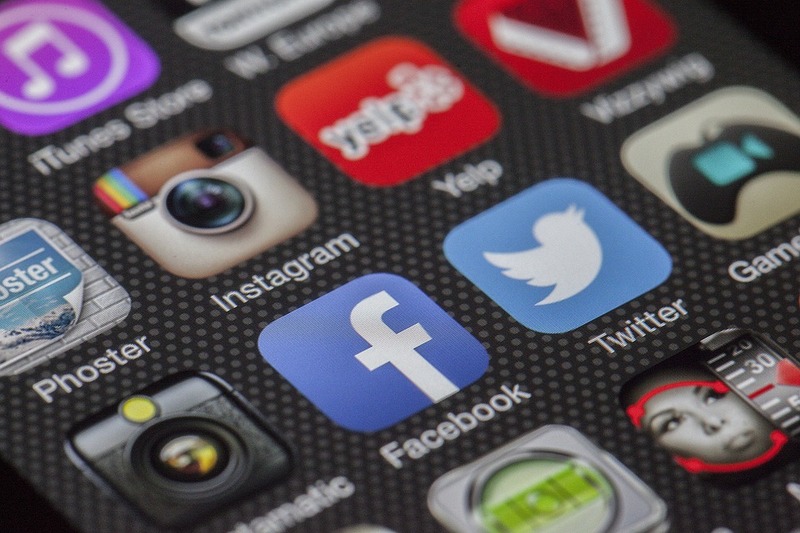 However, ephemeral content that appeared on social media platforms such as Snapchat, Instagram, and recently Facebook, changed the rules of the game. Any content that is available for 24 hours or less is considered ephemeral, because it doesn’t leave a lasting record on the Internet, unless you screenshot it, of course. Anybody wanting to advertise on today’s social media cannot overlook Instagram stories if they own an Instagram account, for instance. If people follow you, they expect more than mere images, as they would also like to be offered to click that warm-colored circle with your company’s logo. This is your clientele’s way of literally telling you how to boost the awareness for your brand in 2019, so don’t miss out on the opportunity. One of the biggest headaches for marketers in the past was how to disseminate content. Fast online communication and social media changed all that but is ephemeral content sharable as well? The simple answer is yes, as people can share your story or they can send it to a friend using Instagram messages and all this for free. The minimal effort put into creating a story is nothing compared to the impact the ephemeral content in question will have once it gets redistributed by the users themselves. In many cases, big businesses only pay a fixed monthly fee for social media management, so individual stories are not charged but they have the potential to significantly increase sales. If you thought that the limited exposure of just a single day was a downside of ephemeral content on social media, you were wrong. The reality is completely different, as in the fast-paced world of retail discounts usually last one weekend, so stories are ideal notice boards for such discounts. Supermarkets often have discounts that last for a single day, so an equally short commercial is ideal for them. The brevity of these messages transforms into topicality, as you are more likely to find about feta cheese on sale for $9.99 on Instagram than on TV or from a promo leaflet. The latter process of distribution is much slower, so the information might not reach you in time to let you know of the time-limited offer. Like we stated earlier, in order to create a story on Facebook or Instagram, you first need to have a profile on these respective social media platforms. You have probably made hundreds of posts already but you cannot post new stuff every single day. Firstly, there isn’t that much going on with your brand and secondly, the end-users will get saturated with all those ads and they will simply unfollow you, even if they are a loyal customer. This is where ephemeral content steps in, as it can bridge the gap between individual Facebook posts, for instance, by sharing the same info but in a different format. This way, your followers will not consider this as spam but quite the opposite; they will be lured in by your new story. Also, if a big event is coming up, like the launching of a new line of clothes, you can fuel the public’s interest by stories that are ideal for such sneak peek marketing campaigns. In other words, ephemeral content is your most reliable aid in maintaining a constant social media presence without boring out your followers. Admittedly, it takes minutes to upload a photo, add some text, and launch it into cyberspace. However, in professional marketing things are a bit more complicated than that. When it comes to the text, you need to choose a font that goes best with the background image so it is clearly visible but it does not obstruct the image. If the location is important, then add this info and be sure to throw in a hashtag of your brand whenever possible, regardless of how small the font is. When it comes to the image itself, it needs to be professionally taken, so it would have the best resolution. Furthermore, you need to edit it using Lightroom and Photoshop solutions such as Sleek Lens to get the max out of each picture. You needn’t be a professional photographer to edit an image for a story but you, nevertheless, have to use a graphics editor. Having discussed how our stories should look like, let’s say a thing or two about what you should share. First of all, you need to understand that social media are nothing like the shop window or an ad in the papers. They are, before all, a personal statement, so avoid generic content as much as possible. Your prospective clientele wants to see a human side to your business. Pictures of your employees goofing around at work or behind the scenes stories that are broadcast live from an event fit the bill perfectly. Those who view your story need to feel special because they caught a glimpse of your operations that other customers don’t get to see or at least that is what they are lead to think. Finally, you should acknowledge the fact that Instagram, Facebook, and Snapchat stories have the power to boost your business in 2019. Once you realize this, you are bound to have fun while tailoring engaging content for your followers. An increased social media presence will result in the promotion of your brand and hopefully, in a rise in sales as well.